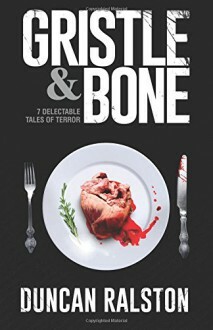 Short and novella-length dark fiction from the twisted imagination of Duncan Ralston. BABY TEETH After doctors tell her she can't be pregnant, Candace learns that not every child is a gift. BEWARE OF DOG Disgraced soldier Dean Vogel returns to his hometown and confronts the bullies, and a horrifying event, from his past. VIRAL A reporter uncovers what really happened to the latest internet sensation, a troubled girl who disappeared on camera. ARTIFACT (#37) Gonzo pornographers learn a brutal lesson following a tragedy they inadvertently caused when life imitated "art." //END USER Anti-social conspiracy theorist Mason Adler’s life is turned upside-down when he begins receiving eerily personal and prophetic spam that could be heralding the Apocalypse. FAT OF THE LAND A couple discovers the secret of a tourist town's prosperity may lie in its sinfully delicious cuisine. SCAVENGERS When successful restaurant owners Jim and Leanne Taymor confess to a grisly series of small town murders, their neighbor learns the gruesome truth that led them to kill. In Knee High, Nebraska, someone–or something–has been stalking household pets in the dead of night… but would they rather be hunting us?